Monday-Friday: 7:00 AM To 4:30 PM EST. Pump Express Services makes it easy to schedule a service call. Please fill out the form below. If this is an emergency, please call 800-298-4100. Requests received from this page before 10:00 a.m. will be serviced that day. Pump Express is a stocking distributor and national service center for the world's leading manufacturers of pumps, parts and accessories. We have a knowledgeable factory trained staff that provides our customers with the most innovative and cost effective products and solutions on the market today. Our courteous and professional staff members are here whether you need advice, pumps, parts or a new pump. 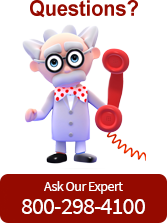 Our dedicated team of experts is ready to help you with even the most complicated pump system issues. No matter what pump or pump related item you are looking for, we are likely to have it in stock . 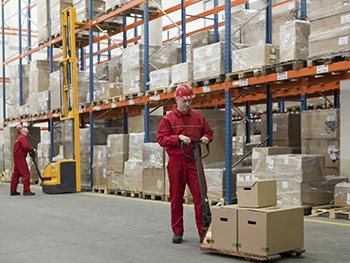 With our 500,000 sq ft fully stocked distribution center, our goal is to have what you need, when you need it. Pump Express provides customers with three options to purchase products. First, you can view our website: PumpExpressNJ.com and order online. You can call our sales center at 1-800-298-4100 or you can come into one of our two locations located in Wallington, New Jersey and Westwood, New Jersey. No matter how you choose to shop; your satisfaction is our goal. 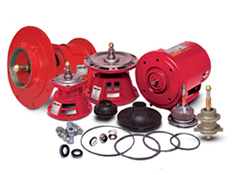 Pump Products is dedicated to always offering the best value to our customers. We will match the price, at the time of purchase, on a Price Match Guarantee product if you find the same item at a lower price at a Designated Major Online Retailer or at a local retail competitor's store. If you find a qualifying lower price online, call 800-429-0800 and direct a customer service agent to the website with the lower price, or when visiting a Pump Products store, one of our employees will assist you. On qualifying products, Pump Products will then verify the current price to complete the price match. 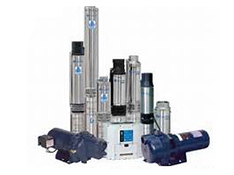 Pump Products will match prices of direct competitors. Our direct competitors include any retailer who sells products in both retail stores and online under the same name. Pump Products will also gladly match price on any items sold by Amazon.com (but not by a third party on Amazon.com). For further clarification, market place sellers on websites not their own are not considered direct competitors. When matching a competitor, Pump Products will follow any limitations and exclusions set by the competitor. The item must be first quality. Pump Products does not match prices on seconds or refurbished items. Pump Products does not match prices on clearance items, closeouts, liquidation sales or pricing errors. Pump Products reserves the right to limit quantities on a price match to one per customer. A customer can choose between the Pump Products price with a coupon/offer OR the competitor price but may not use a coupon/offer with the competitor price unless the competitor would accept it.